In our class discussion on Tuesday, the topic of powerful women came up. The discussion was that women who gain power often times cannot handle that power and thus go out to end the world, or at least cause mass destruction. After our discussion, I was curious to see just how many real women in our society hold powerful positions in opposition to the number of men in power. One google search later and I came up to Forbes article entitled, “The World’s Most Powerful People”. Out of the 70 people Forbes listed, only a mere SIX of those people were women. 6! That is not even 10% of the list. Why is this? Is it just the mere gender stereotyping? Or is it due to the fact that men are often seen as more powerful individuals and therefore they are the ones who often are given these higher powerful positions. The number one spot on the Forbes list went to President Obama. However, do you guys think that if America had a woman President, that she would still hold that number one spot? Quite honestly, I’m not sure she will. There is simply a premeditated convention that powerful positions go to men and women often times cannot handle the pressure of having that much power. Before I go off onto a whole other tangent on why there is still no American female president, I want to draw your attention to the fact that even though there are only 6 women on this list, this is a steady rise from the four women that were included in the list in the year 2010. My only hope is that these numbers continue to rise. Even though the number of women who are considered to have power within this world are very low, one has to consider the fact that in most countries, women are still not allowed to hold any position of power let alone rule a country , or become a CEO of a company in that particular country. If this class has taught me one thing, it is that women, although have achieved great suffrage and gained some power, are still not held and regarded on the same level as men. While this is a sad realization to come to, there is hope that these numbers will continue to rise and I hope that one day, the women will be of equal numbers on this list as males within the world. Here's the list of the 6 women who were considered to be powerful within the world and some info on them. 4. 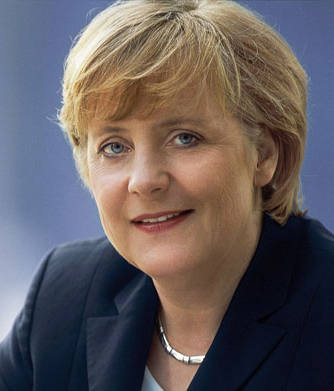 Angela Merkel: Chancellor, Germany. Also listen as #1 on Forbes list of "Powerful Women". The world's most powerful woman heads Europe's most vibrant economy and is widely viewed as the de facto leader of the EU. 11. Sonia Gandhi: President, Indian National Congress Party, Indian National Congress, one of the major political parties in India. Also listed as #7 on Forbes list of "Powerful Women". In September 2010, on being re-elected for the fourth time, she became the longest serving president in the 125- year history of the Congress Party. 16. Hilary Clinton: Secretary of State, United States of America. Also #2 on Forbes list of "Powerful Women". 39. Christine Lagarde: Managing Director, International Monetary Fund. Also ranked #9 on Forbes list of "Powerful Women". She is the first woman to run the IMF inherits an institution in crisis, overseeing multibillion-euro bailouts of Greece, Ireland, and Portugal. 64. Jill Ambramson: Executive Editor, The New York Times. Also listed as #12 on Forbes list of "Powerful Women". Assuming this position in September 2011, she became the first woman to hold this position the paper's 160-year history. Although when I first began to read your article I was horrified by the lack of women in this list, I really appreciated how you did your research and found out that this is actually a steadily growing and positive number. I know that we all love to flip out about how unqual our world is when it comes to gender, but the problem is that nothing happens overnight. All we can do it continue to fight for something and see it gradually change (like, in this case, it is!). I am really excited to see this number continue to grow. What's next? FEMALE U.S. PRESIDENT. I just have to say, that though a female president would be fantastic, I would not vote for a candidate simply because they are a woman. I commented similarly on the gender pay gap post, but I believe in meritocracy. A woman should not be held back from a powerful position simply because of her gender, but Neither Should She Get A Position Simply Because of Her Gender. Also, in March the EU was proposing to have a quota for females in executive positions. This problem is a known issue and groups are attempting to fix it. As you put it, it is on the rise. Women can be just as powerful as men, and should have the chance to prove it. Although I completely agree with the notion that women should be included more frequently in politics and positions of power, it is also important to recognize that their roles will still be inherently patriarchal. If the system that they belong to is patriarchal, then the women will conform to that power dynamic, as the world around them expects them to conform to that norm. Why do we consider these women powerful? Is it because they have masculine qualities? Is there attitude somewhat masculine? Or are they strong women because they are consciously in tuned with their woman-ness? I don't think I know the answer but its certainly a good question to ask, because if we associate them as powerful women because they exemplify "masculine" qualities, are we actually enacting change? While it is a somewhat sad fact that so few women were ranked on this list of powerful people, there are some positives in the list. The fact that Angela Merkel made it to number four I think is a pretty big accomplishment. Most of the women who you included here were near the top of the 70 people, so these women are very powerful even in comparison to the world’s most powerful men. As Sophie also pointed out, this is a growing number and really is showing a positive trend. I do not know the reason that it is so hard for women to achieve an equal number of powerful spots on lists such as these, but I really think progress is being made and that there is hope that eventually lists like these will be filled with many more female names. Also, as Maggie has said, women should not be in powerful positions just because they are women. I would hope that if more women appear on lists such as these that it is because they earned it and did not achieve it just because women want to see more females in power. Alex, I don't quite agree with your idea that these women have qualities that would be deemed "masculine" and that this is the mere reason that they are elected into their powerful positions. I feel that, although small and slow, society is beginning to view confidence, independence, and intelligence as qualities that have a sort of gender ambiguity. Yes, our society is still and will most likely always be patriarchal, to some extent, but the line between what is masculine and what is feminine is definitely becoming more blurred. 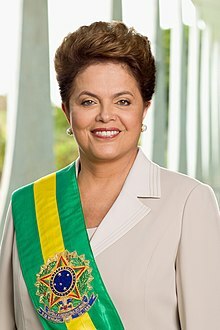 Consider the women in the "World's Most Powerful People" article: Do they all seem to resemble men? Not really; They have longer hair, make-up, feminine clothing, and I'm sure that they still participate in feminine-type of activities. However, they are still quite powerful and have great influence. I just feel that we need to toss away this concept of "What is masculine? What is feminine?" and try to move forward by accepting that categorizing traits in such a way isn't as appropriate anymore.